So, last week I shared all of the fun pictures from our 90s party along with the DIY for this floral arrenangemt. Today I wanted to share the signature cocktail we served. You could rim the glass with candied sugar or better yet pop rocks! 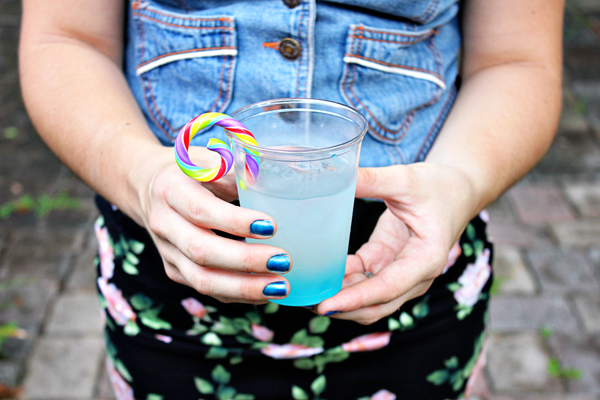 This Cotton Candy Cocktail is easy to make, simply sweet! In a shaker mix 1.5 oz of cotton candy vodka, 2 oz lemonade, a splash of strawberry syrup and shake. Pour over ice and top with blue curacao. The post Cotton Candy Cocktail appeared first on The Flair Exchange®.